All the wheel bearing we supply are 2RS - DDU. Double sealed and ready lubricated with premium grease for added protection against dirt and water ingress and are made of high strength AISI 52100 chrome steel components for the rolling elements and the inner and outer rings; to ABEC 1 dimensional tolerances and C3 radial clearance tolerance. 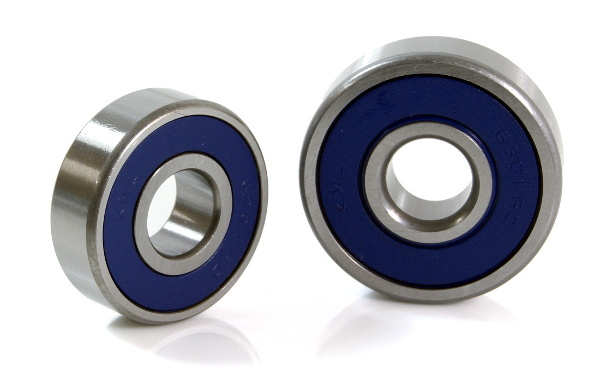 The bearings also undergo electronic noise and vibration testing according to ANSI/AFBMA Standard 13-1987. 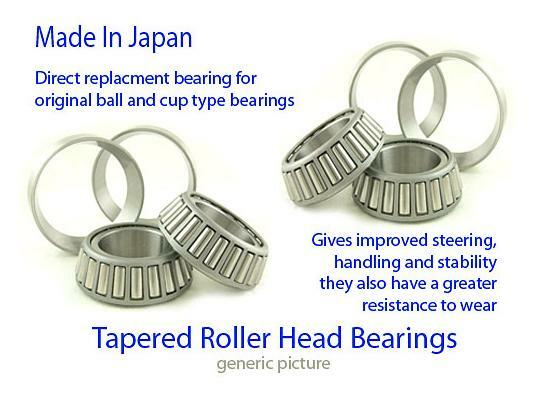 Although bearings are subjected to large amounts of stress and are continually being used to fulfil various duties, they are precision made and typically last a long time (bearing failure is often due to improper installation and fitting). However high-mileage bikes and dirt bikes, which are exposed to a lot of mud and water, can become vulnerable and require attention sooner than expected. 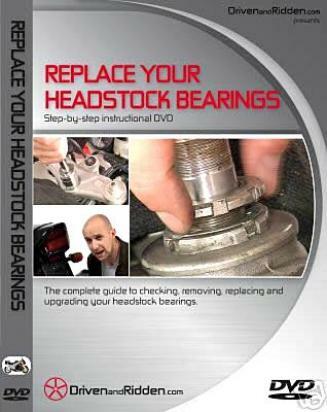 The complete guide to checking, removing, replacing and upgrading your headstock bearings. Professionally filmed in our studio, Nick Hine shows you exactly how to do each job - with clear, close-up shots, tips, advice and techniques that enable you to do a professional finish - even if you have no experience.